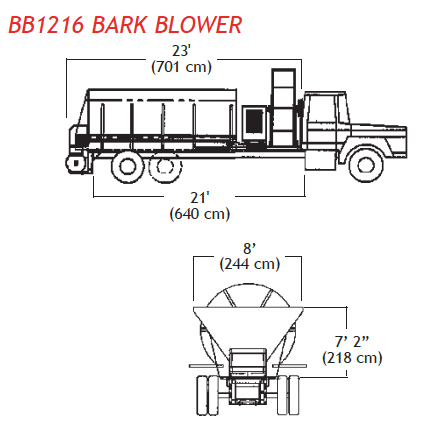 The FINN BB1208/1216/1222 applies landscape mulch and other bulk materials with unprecedented efficiency, and eliminates the need for labor-intensive hand application. 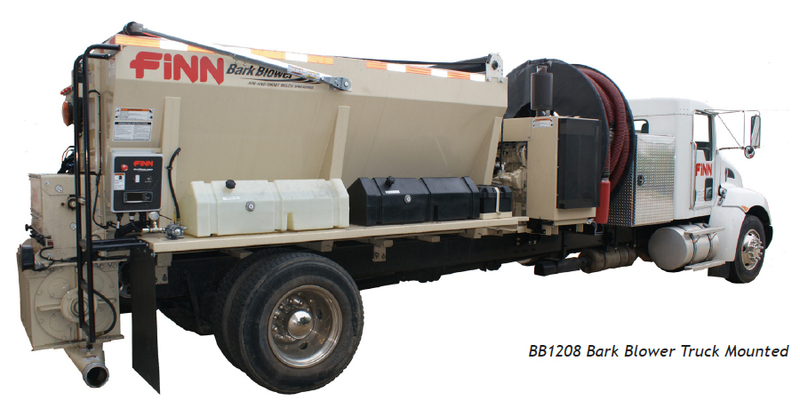 The BB1208, 1216, and 1222 provide high efficiency mulch application capabilities for landscape maintenance companies and mulch suppliers. 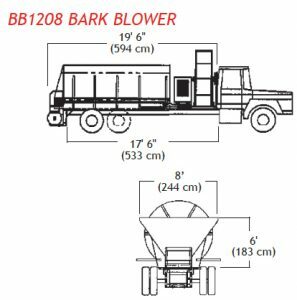 Whether you are looking to convey heavier materials, like stone, or just accommodate larger job sites with speed and accuracy, the BB1208, BB1216 or BB1222 is just the FINN Bark Blower you need. 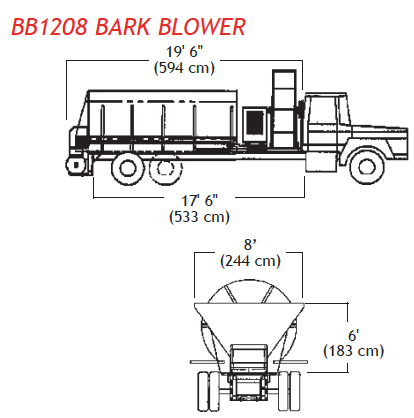 WHO USES THE BB1208 /1216 /1222 BARK BLOWER? 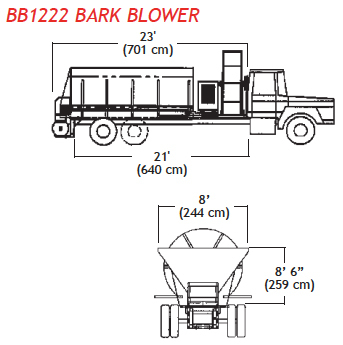 The BB1208 /1216 /1222 Bark Blower is perfect for the large mulching projects such as residential and commercial mulch beds, slopes, public gardens, playgrounds, amusement parks, sports field overseeding, erosion control/berms, mall interiorscapes, and other applications that require precise placement of bulk materials. 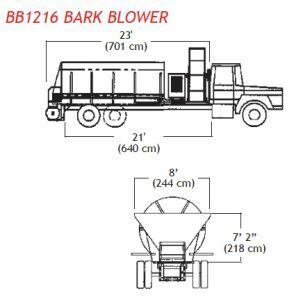 With these versatile bark blowers you can do professional quality mulching, slopes, erosion control, overseeding, soil/compost, and a number of other profitable applications. Mulch can be applied on virtually any terrain, even in wet conditions.